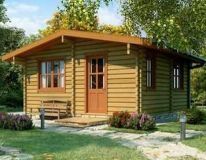 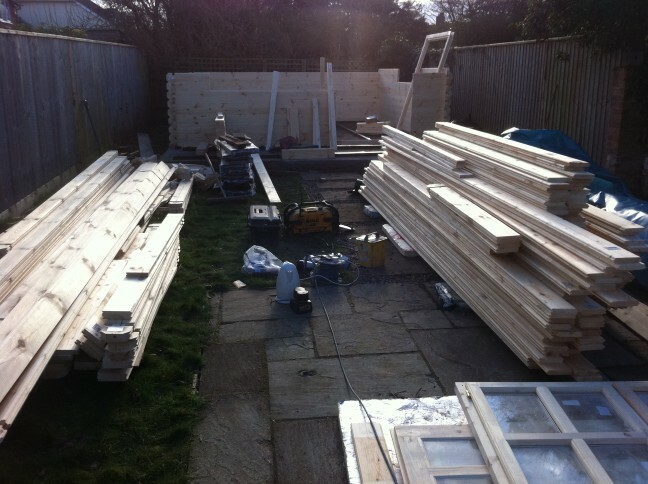 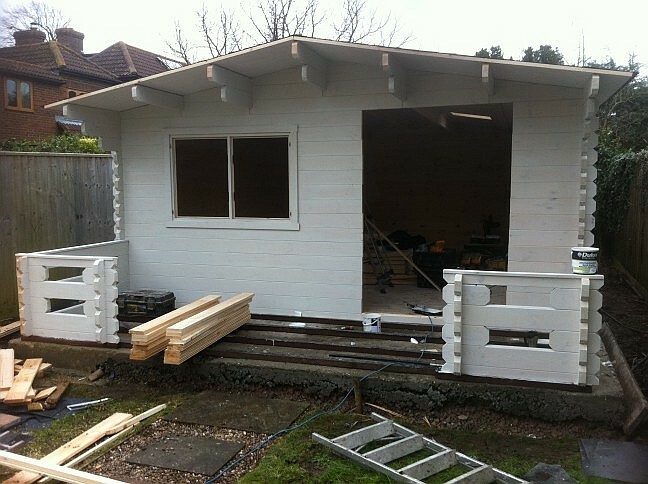 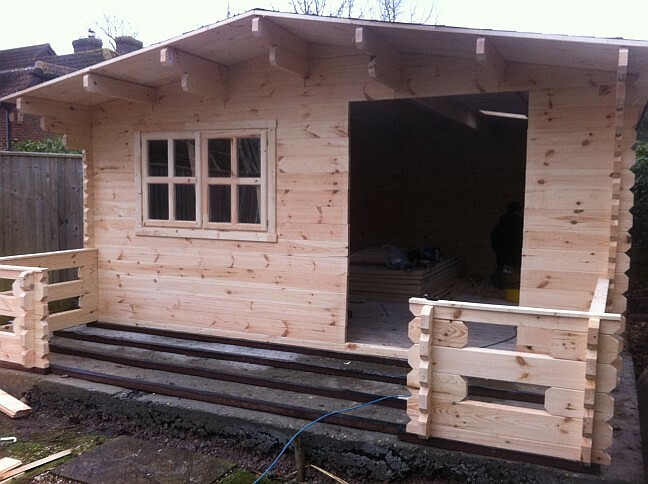 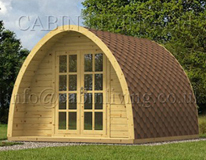 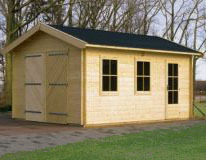 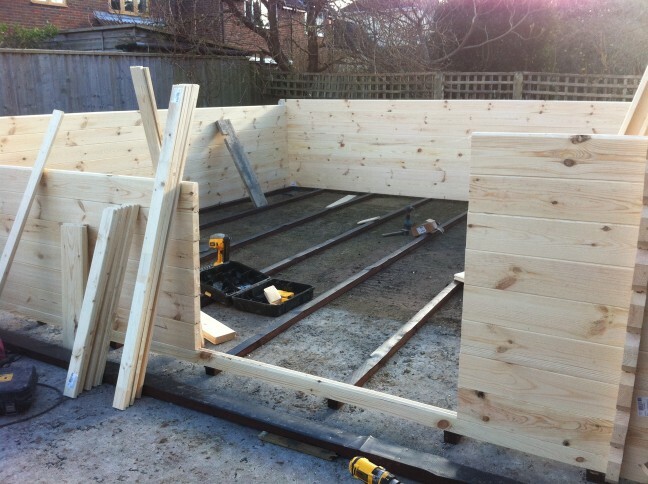 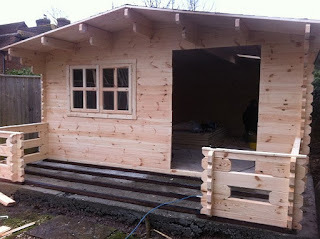 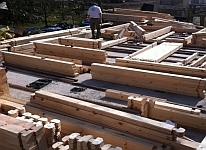 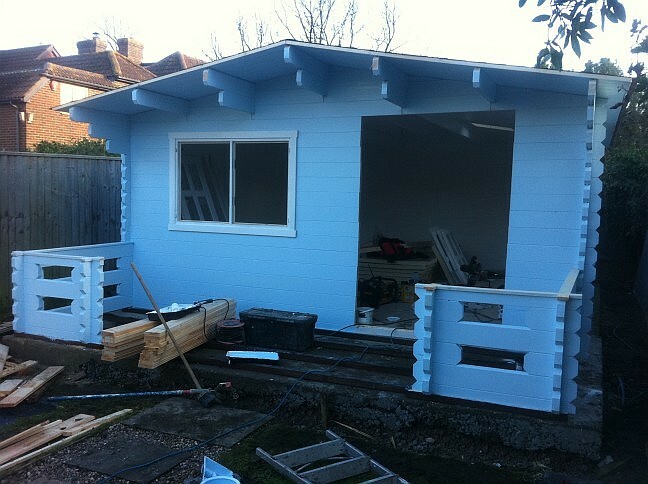 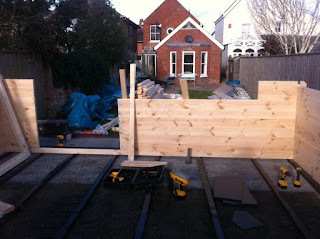 Detailed pricing for installation work is shown next to the details of every log cabin in our range. 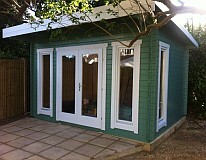 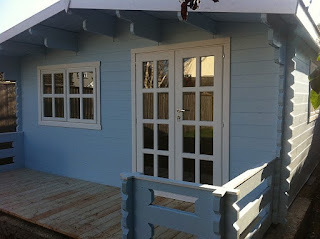 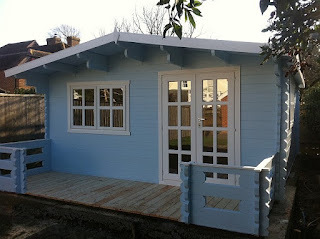 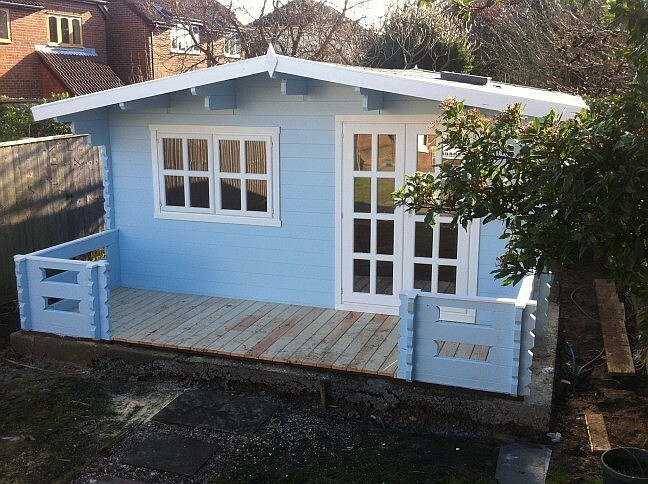 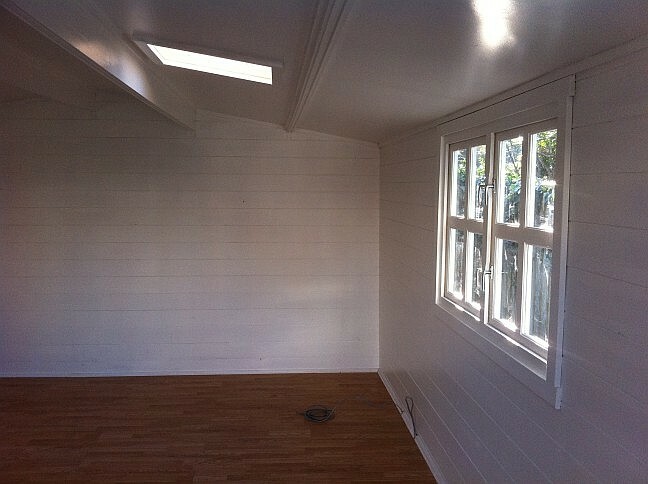 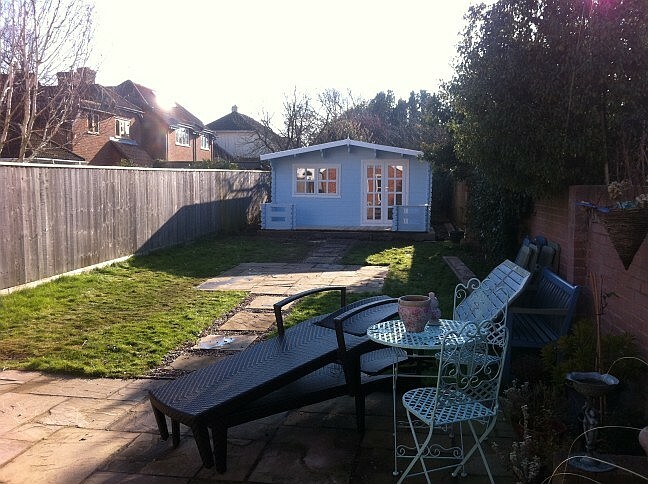 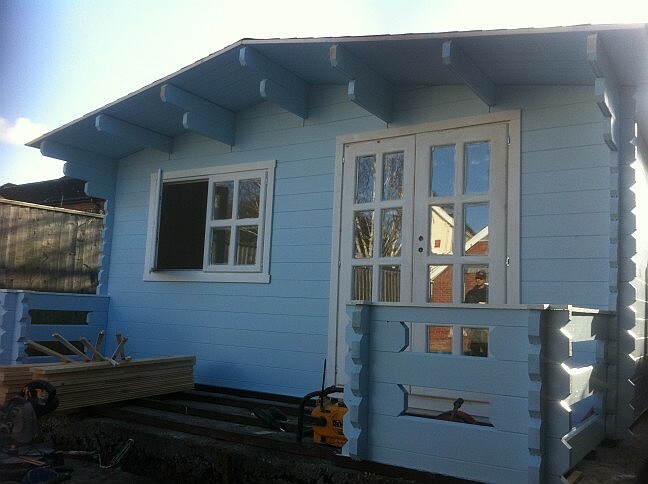 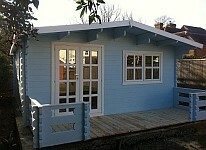 Painted inside and out and fitted with skylights, roof and floor insulation. The skylights certainly add quite a bit of additional natural light. 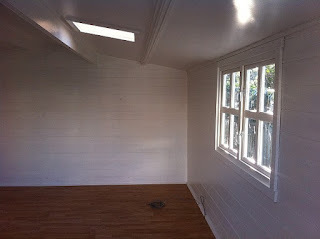 Oak effect laminate fitted. 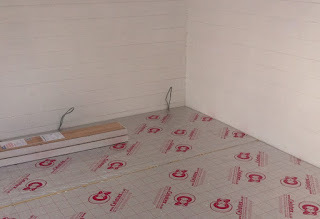 Ideal for use with underfloor heating. 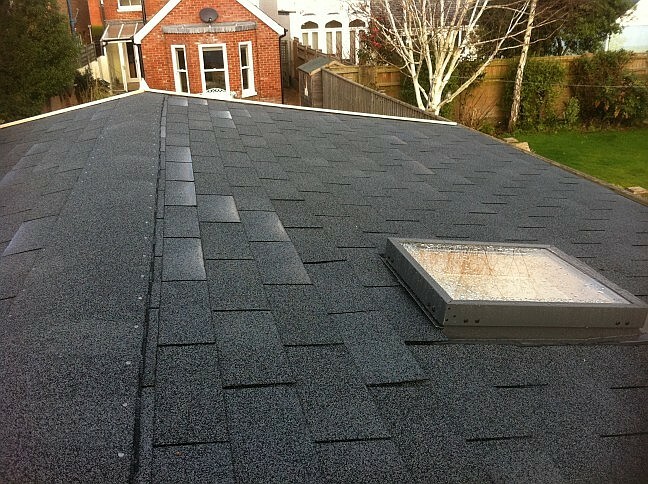 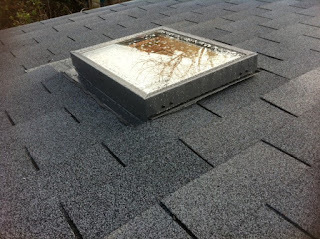 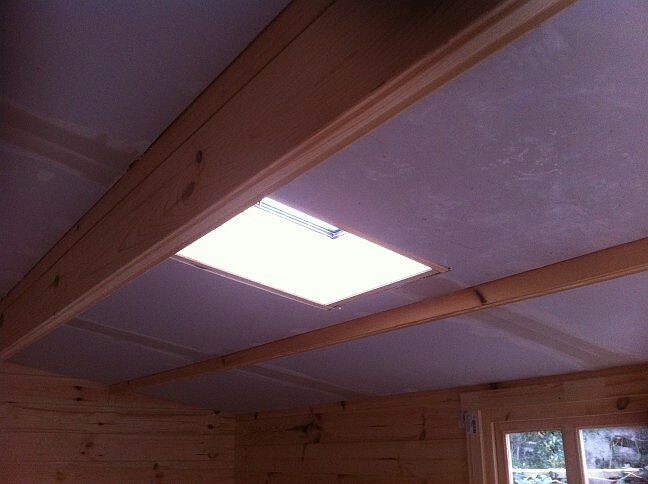 Skylights fitted with double glazing are available from Screwfix for around £120 each excluding fitting costs. 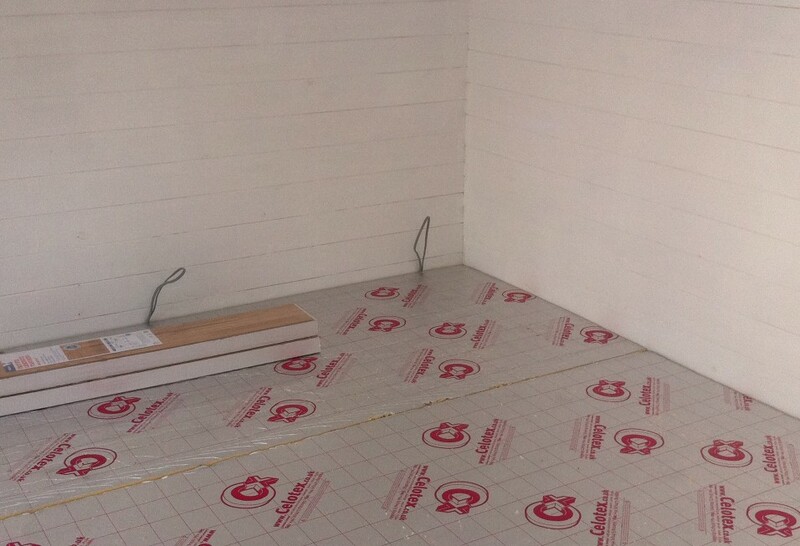 Celotex insulation fitted above the standard floor in this case to be finished with oak effect laminate. 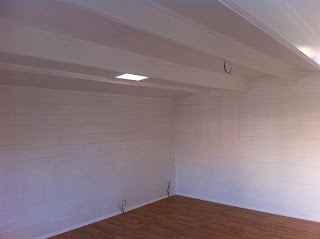 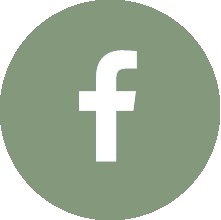 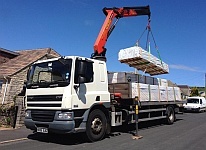 Celotex (50mm) is fitted to both the floor and ceiling providing a comfort grade level. 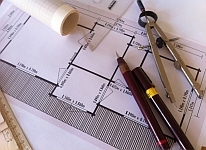 It is possible to upgrade to meet building regulations for residential use where almost double the amount would be required. 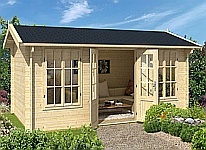 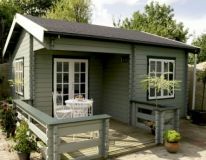 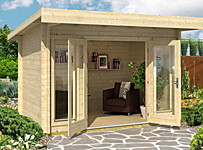 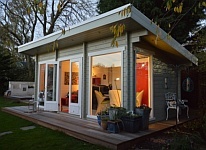 50mm of Polyurethane insulation is sufficient for comfortable home working in most Garden Office applications. 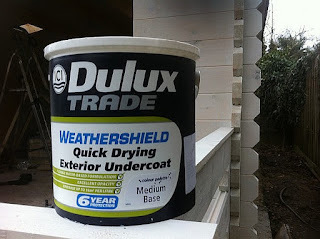 The Dulux Weathershield white seemed to take more and more paint requiring almost 10 litres in this case. 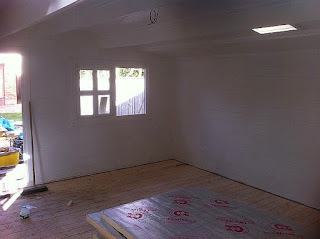 We would therefore still be inclined towards an oil based paint to save labour. 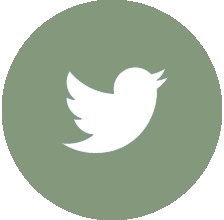 Oil based Sadolin Superdec can be mixed to a variety of colours and may be the subject of a blog entry shortly! 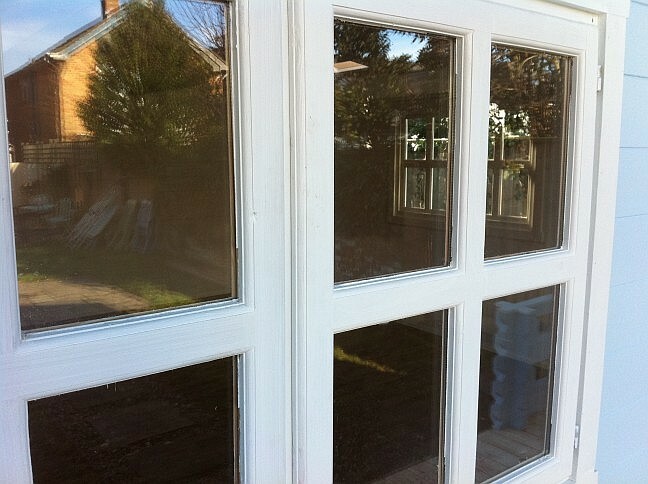 Doors fitted with first coat of white applied. 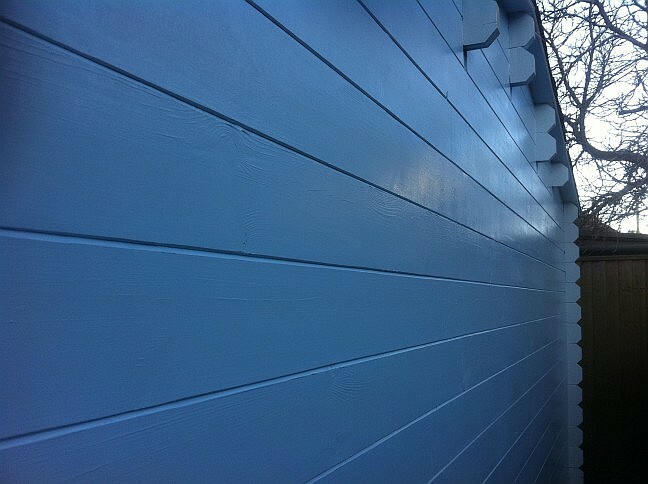 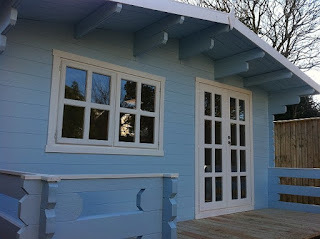 Dulux Weathershield can be mixed to almost any colour and provides a satin finish to the cabin. First layer of top coat on the windows and second coat of blue on the walls. 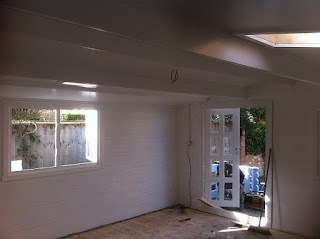 A greyish undercoat is first applied prior to doing the top coat. 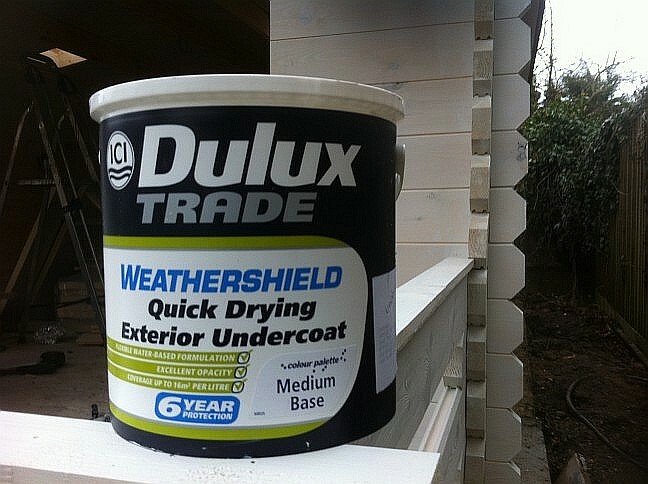 Quick drying Dulux Weathershield is usually dry within 2 hours even in January! 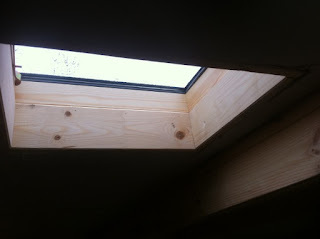 A frame is created around the skylight to cover the insulation and plasterboard. Walls go up relatively quickly and we are usually up to roof height end of day one. Wall pieces are sorted as they are brought round to the base to speed up the installation process.